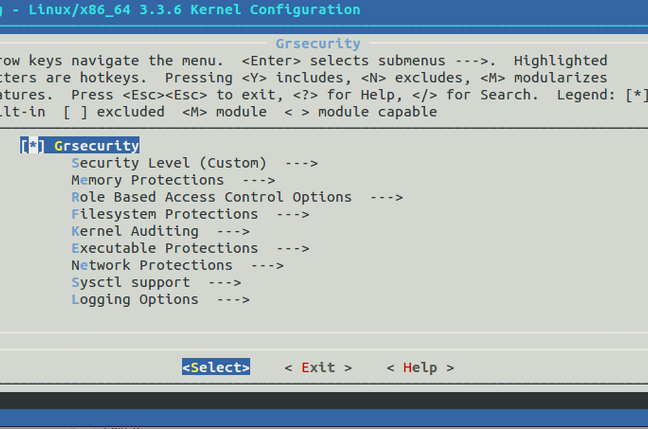 The gurus behind the popular and respected Linux kernel hardening effort Grsecurity will stop providing free support for their stable offering. In future, only paying sponsors will get stable patches to shore up their kernels’ defenses. The public stable patches will not be distributed beyond the next two weeks in response to an expensive and lengthy court case between the small outfit and a “multi-billion dollar” corporation which it says flagrantly infringed its rights. Beta-test-grade patches will still be available for all. “We decided that it is unfair to our sponsors that the above mentioned unlawful players can get away with their activity [and] we will cease the public dissemination of the stable series and will make it available to sponsors only,” Spengler continued in his statement. “The test series, unfit in our view for production use, will however continue to be available to the public to avoid impact to the Gentoo Hardened and Arch Linux communities. Grsecurity provides various operating-system-level security defenses against hacking attacks – from stack overflow protection and bounds checks on kernel-copied data to filesystem hardening. It includes a lot of set-it-and-forget-it features that automatically prevent systems from coming to harm, and is used by most who rely on a hardened flavor of Linux. Neal Wise, director of penetration testing firm Assurance.com.au and a Unix geek, says the decision is a tragic one that could most affect hosting providers who distribute Linux images containing grsecurity’s popular deep security access controls. It will be difficult to replace grsecurity’s top-notch patching efforts. People with the necessary skills to take up the task likely already work for the organisation. Melbourne security bod Edward Farrell, of Mercury Information Security, says it is shame the open-source project was forced to quit, given it is useful and stable. “Companies are taking advantage of published free tools without paying and that screws people over and makes things more insecure,” Farrell said.